How could I resist a stop at the memorial of Robert E. Hughes touted as the World’s Largest Man? 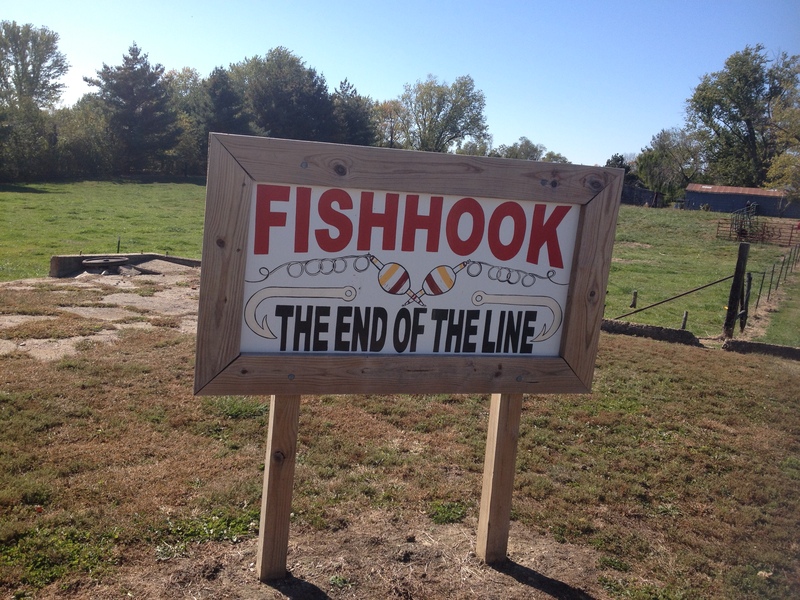 We were on the Pike County Fall Color drive and this memorial was in the small town of Fishhook, Illinois which was deemed “The End of the Line”. I am not quite sure if that was the end of towns on the short stretch of County Highway six, or the end of this section of the Fall Color Drive, but the line is enticing by any means. While I found the memorial of a man that at the time of his death weighed 1040 lbs, the story behind him is a fascinating one. Glimpses into his life came in Fishhook. “They brought him into town by wagon,” one man said. Many seemed to know him and of him. At the grocery store that was closed on the day we were there an advertisement for the book, “Robert Earl Hughes: The Largest Man to Ever Walk the Earth” (by Scott Maruna, published by the Swamp Gas Book Co. 2008, ISBN 978-0-9728605-5-0) was on the store window. 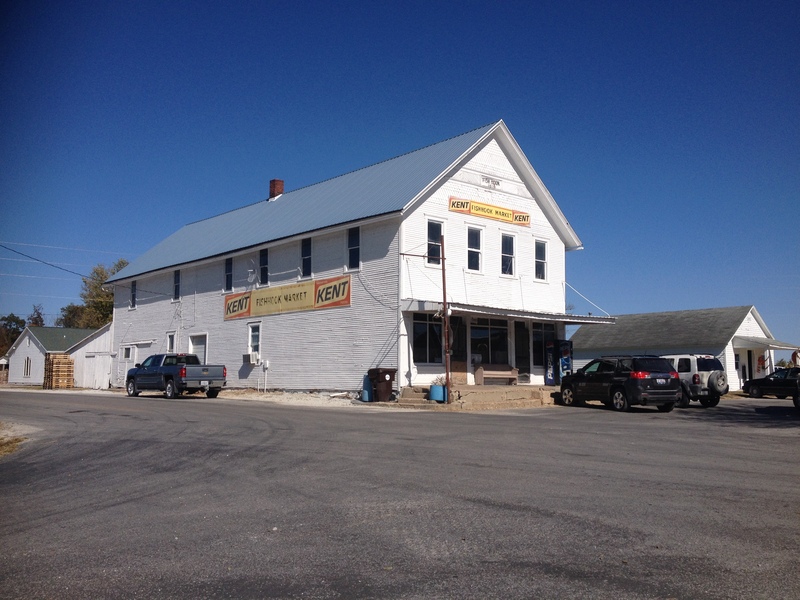 I am not sure if the cool building is open on a regular basis, but this I think must be the store where Robert and his family came to town on Saturdays and where he was weighed on the store’s platform scale. There were a couple different reports on where Robert Earl Hughes was born, one said Baylis, Illinois, another in Lewis County and one more in Missouri, but they all agree that he was born in 1926 to Georgia and Abe Hughes. They were sharecropping farmers and they moved after Robert Earl’s birth to a farm near Fishhook. Robert Earl weighed 9lbs when he was born and as an infant contracted Whooping cough. When his growth was faster than that of other children his mother called a doctor who diagnosed this as a result of damage to the pituitary gland from the horrible coughing when he contracted whooping cough. The doctor said he could not say how large Robert Earl would grow. Later a doctor would estimate that Robert would only live to around 15 because of the stress on the heart that his uncontrolled growth caused. He grew larger and rounder and by the time he was 10, Robert Earl weighed 225 lbs. A wonderful article in Chicago Magazine by Robert Kurson brings Robert Earl to life showing how much more he was than a large man. In the article Kurson stated that Robert Earl had a happy childhood and was treated by his friends like every other child. When his weight impeded his play, the children made up games to include him. Robert Earl continued to gain weight until he could no longer go to school and he stayed home on the farm with his mother helping her with chores and becoming a voracious reader. The family continued their Saturday trips to town and as word spread about his weight, newspaper reporters and others sought him out to take pictures and write about this boy that just kept on growing. Reports I read in various publications reflect on how cheerful, friendly and kind and what a great conversationalist Robert Earl was. His early life was rather isolated although the world came to him through visits, letters and his reading. As a young man except for a few times at local festivals, Robert Earl refused to go on display, but after the loss of his mother, things changed. 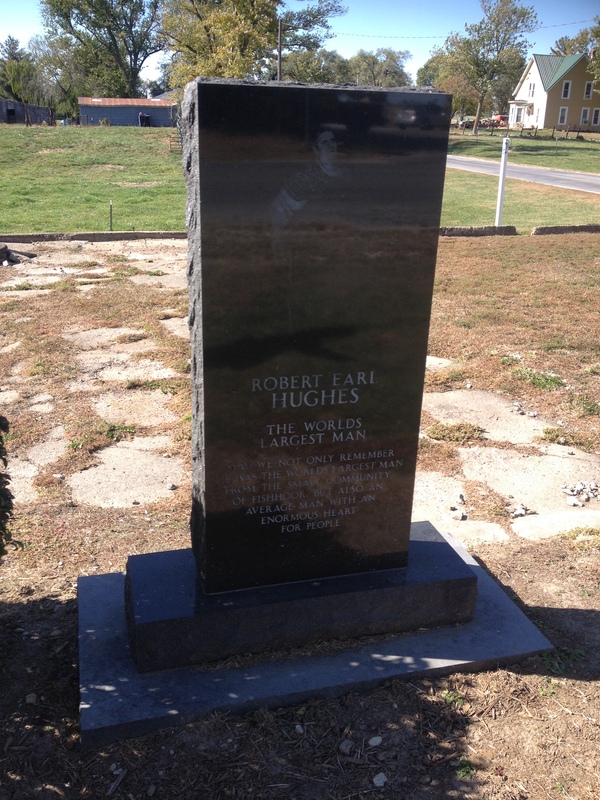 To see the world and make money, Robert traveled to local carnivals for years in the back of the family pickup truck, and then in 1954, at age 28 and weighing 946 pounds he signed with Texas-based W. A. Schafer sideshows and began traveling the country in a carnival trailer along with a few family members. In 1958, Robert Earl joined the Gooding Amusement Company and while on tour he contracted the measles that caused him to become uremic. He passed away in Bremen, IN in his trailer. He was too large to fit into the Bremen hospital. A special casket had to be made for him and although many reports said he was buried in a piano case, the truth is the casket was the size of a piano case. He is buried in Benville Cemetery in Mt. Sterling, Illinois. All reports show that this young man was a wonderful person trapped in a body that grew to a size that Guinness World Record’s confirms as the world’s largest man. While it is sad that he lived for such a short time, it is clear that he left his mark and they have duly recorded this in Fishhook, at the End of the Line. Author Scott Maruna keeps a Robert Earl Hughes blog going. Here you can find out more at http://robertearlhughes.blogspot.com/. Previous Post: Want a booK, give me some feedback!